Cleaning Out the PNRA/Mercer Gear Closet! Know a junior rower who might like a retro uni? A parent who needs a car magnet? PNRA/Mercer is cleaning out the gear closet, just in time for the holidays! We will be selling both Mercer and US Olympic gear, including vintage unis and tech gear, t-shirts, outerwear, and more. A table will be set up in the boathouse office on Tuesday 12/18 and Wednesday 12/19 from 5:45-6:15 pm – sizes and quantities are limited and will be sold on a first-come-first-served basis. Hope to see you there! The Patagonia order has arrived! Juniors, please pick up your gear from Coach Anna around practice time in the next few days. Masters, please contact Hilary (hgehman@rowpnra.org) to arrange pickup. At long last, [most of] the JL gear has arrived! Items can be picked up from your coach today at practice. Masters, please contact Hilary (hgehman@rowpnra.org) to arrange morning pickup. We are still waiting for the Regatta Jackets to arrive, as well as some of the trou and cotton t-shirts. Thank you for your patience; please contact Coach Anna with any questions. There are a bunch of clothes that we have accumulated in our lost and found area over the course of the fall. Please check for lost items either in the erg room OR in the conference room (back room in the office) – parents are welcome to come check the stash on your son/daughter’s behalf! We will be donating leftover items to Homefront on Monday, December 10! An update on gear orders: there are a bunch of JL items that are on back order and we are expecting them any day. Patagonia orders are trickling in and we’ll keep you posted on when you can pick them up. (Note: the rain jackets will ship sometime in December). This weekend the Mercer Juniors and Mercer Masters will be competing at the Head of the Schuylkill Regatta! This will be a very busy weekend as we will be racing in 15 different events. The weather looks to be…. BAD. Please dress for the weather. Please bring extra clothes. Rain gear. Cold gear. More gear than you think! LINEUPS: Please click HERE for the TENTATIVE racing lineups for this weekend. The novice girl lineups will be posted after practice tonight. REGISTRATION: Juniors- Please click HERE to register / Masters- Please click HERE to register. PARKING: Please click HERE to learn more about the drop off zones and parking for this weekend. RESULTS: Please click HERE for the results. If you have any questions, please reach out to your respective teams coach! All junior practices (novices and varsity) on Friday October 19th and Sunday October 21 have been cancelled. Varsity please check with your captains for alternative workouts that must be completed. Masters practice on Friday morning is still on!!!! We are departing from the boathouse at 5:30 am Friday, October 19. Athletes should arrive at the boathouse 15 minutes early, packed and ready to leave. They should also bring snacks and water, but the plan is to have lunch on the road. We will drive directly to the course so the athletes can rig the boats and get in a practice row. We will be returning to the boathouse on Sunday, October 21, some time in the evening. We will be traveling in 3 vans. There will be a chaperone assigned to each boat competing at the event. The cost for this regatta is higher than it is for most other regattas. This is in large part due to the costs associated with traveling to Boston this weekend; the Head of the Charles is a prestigious regatta that hosts clubs and teams at all levels from all over the world. The registration link for the Head of the Charles is here. Please register as soon as possible! We will provide updates on ETA’s, as well as results, on Facebook. We will do what we can to post on the blog as well, but please use Facebook as your primary source of information. If you are watching from home, results will also be posted on www.RegattaCentral.com. You can also follow via livestream from the event website www.hocr.org. Dinner on Sunday will be by boat on the way home. Athletes will purchase their own. A huge thank you again to everyone who has offered to help. We look forward to another successful regatta. Order forms for Mercer Patagonia gear are now available! Forms can be found on the erg room bulletin board, or can be printed here Fall 2018 Patagonia Order Form. Order forms and payment must be turned in to Coach Anna by the end of practice on Monday, 10/22. 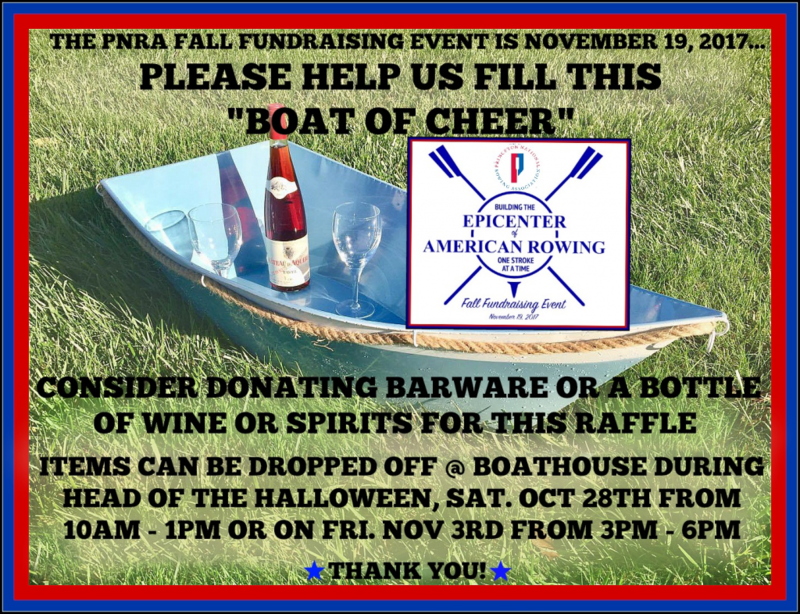 Checks can be made payable to Princeton National Rowing Association. Late orders cannot be accepted, nor can order forms submitted without payment. Please note that all Patagonia clothing is optional. Please contact Anna (akalfaian@rowpnra.org) with any questions! Below you will find information regarding the Head of the Housatonic Regatta. We will be leaving the Caspersen Rowing Center at 4:00pm on Friday October 5th. Please bring dinner for the ride up and any other snacks you may want to eat! PARKING is $15 dollars this year and you will have to take a shuttle down to the race course. Please allow at least 30 minutes for transport from the parking site to the regatta venue. SATURDAY LUNCH: Will be provided on Saturday. SATURDAY DINNER: Please bring money for the ride home as we will be stopping to get food. WIRELESS SERVICE – Cell phone reception at Indian Well State Park is spotty. Do not count on being able to phone or text from your device while you are at the park. Please check the parents Facebook page for any details regarding arrival at the BH on Saturday night. The parent coordinators will do their best to keep that updated throughout the day depending on service at the race site. The PNRA Mercer JL online team store is now open! On the JL Team Store site, you can use your own credit card to order team uniform items as well as training gear. Hi everyone! Hope you are all enjoying the last few weeks of summer! As we begin to prepare for the season, we have a few quick dates and notes we would like to share with everyone. 1. The coaching staff is making an inventory on all the equipment before the season begins. If you have any PNRA/Mercer equipment or supplies please email Coach Justin (jochal@rowpnra.org) and Coach Jamie (jhamp@rowpnra.org) and let them know so we can account for it. We are especially looking for coxboxes, chargers, headsets, and speedcoaches, as we are missing a few! 2. Mercer will be hosting an open house event for prospective novice rowers during the first week of tryouts on Wednesday, August 29th from 6:45-8pm. The coaches will explain more on the first day of tryouts, but please spread the word to anyone who might be interested in coming and learning more about rowing. Novice does not start until the following week, so there will still be time to join! 3. PNRA will be hosting a viewing of Kiss the Joy, the inspirational story of Joan Lind van Blom, the first U.S. woman to win an Olympic medal, on Labor Day, Monday, September 3rd. It will be shown on the apron in front of the boathouse starting at 7:45pm. Cost is $15 for adults and $10 for students, and proceeds benefit the Joan Lind van Bloom Endowment for Women’s Sculling and PNRA’s Outreach Program. Please bring your own chairs and snacks. All are invited and we would love to have you join us! Hope you are all staying cool in this weather and looking forward to enjoying the holiday tomorrow! For the past few years, PNRA/Mercer has partnered with the Special Olympics of New Jersey to help them in running Camp Shriver. Camp Shriver is a 4 week program run by the SONJ focused on teaching new sports and making new friends to positively impact the lives of their athletes. We are thrilled to have been asked back for another year, and will again be working with the SONJ athletes on Mondays. Camp Shriver is held at the SONJ main facility right off Princeton Pike by the 95 interchange in Lawrence, NJ, and the dates for camp with Mercer this summer will be July 9, 16, 23, and 30. For those of you who have not volunteered before, we run 5 20-25 minute sessions on the erg for the athletes during each session, focused on teaching proper technique and having fun. I need your help in making this possible! There are two sessions each day – 1-4pm and 5:30-8pm. Usually, junior athletes work the evening session and masters focus on the earlier session. If you are able to volunteer, please click the link below and sign up for as many days as you can! There are tabs for each day, so please ensure you sign up for all the days you are able. I will be reaching out to everyone who has signed up by Thursday to get ready for this Monday. This is a very rewarding experience and I encourage everyone to sign up for all 4 days if they can, as it helps them form a real bond with the athletes. Once again, thank you for your assistance and please email me with any questions! I hope to see many of you next Monday! Good evening, Mercer Athletes, Masters, Parents. IDR LINEUPS: Please click HERE to find the updated times for this weekend. If we have more changes to the times, please check the blog. IDR Lineups, Schedule and More! IDR LINEUPS: Please click HERE to find the tentative lineups for this weekend. If there are any changes to these lineups, the athletes will be notified at practice, and you will be notified through the blog. As a reminder: the IDR an away regatta in Philadelphia on the Schuykill River. You will need to drive your athlete (unless he/she can drive themselves) to this event. The drop-off location is Gillin Boathouse, St. Joseph’s University: 2200 Kelly Dr, Philadelphia. You will need to print out a parking pass to enter the drop off zone on Kelly Drive. The link for the pass, and any other information about this event can be found on the regatta website:HERE. Your athlete will need to bring snacks and water, as there will be no food provided. There will be Mercer tent on Saturday near the Grandstand/finish line where parents can gather and cheer. Feel free to bring snacks and drinks to share, or just come and enjoy the company! We are looking forward to some exciting races this weekend! Please drop your athletes off at the Gillin Boathouse, St Joseph’s University: 2200 Kelly Dr, Philadelphia. Most phone apps recognize the location if you enter Gillin Boathouse. It is NOT located on Boathouse Row, so please be sure to check before you get down there. IMPORTANT NOTES: Philly closes down Kelly Drive, which is the road that runs along the course. If you have not been to this regatta before, you should give yourself extra time to navigate the detours and crowds. Please send water and snacks with your athlete! There is no planned food or drinks for them. There will be a Mercer tent and table set up on Saturday, near the Grandstand and finish line (Gillin Boathouse is located near the start). This will be an informal affair, a place for us all to gather and cheer for our team. In years past, parents have brought drinks, snacks, chairs. There is no planned food, so it’s up to you whether you want to bring things to share. Time trials and heats are on Friday, Semis and Finals on Saturday. Time trials are races that set the boats up for the races on Saturday. Results are posted by the Grandstand or on www.regattacentral.com. This weekend is the Schuylkill/Navy Regatta in Philadelphia. Unfortunately, there were no junior teams signed up for racing, and to pay for a regatta to only race ourselves doesn’t make much sense for our juniors. Coach Jamie and Coach Amanda have decided to cancel the junior participation in this event and instead focus on the Independence Day Regatta coming up at the end of the month. If you know you CANNOT make the IDR please inform your coaches and fill out the absence form so they can start entering boats and lineups for this event. The more time we have to practice lineups the better the results will be! We are sorry to not have a race this weekend, but this also gives the team more time to adjust to our new teammates and lineups. The Masters will still race at Schuylkill/Navy and Coach Matt will have the details for the races and boats later this week! JL Team Store and JL Team Outerwear Has Arrived!! The PNRA Mercer JL team store is now open!. To place an order, you can go directly to the JL Team Store site through this link: JL Team Store, or copy and paste the link into the address field of your browser. You can use your own credit card to order required team uniform items as well as training gear. In order to take advantage of the team pricing and shipping, you MUST get your order in by midnight (PST) on 5/30/2018. If you miss the store closing date, you will need to order your uniform as an individual, directly from JL. Please make sure you receive a confirmation that your order has been placed – if you do not get the confirmation, double check your information and re-submit. For those that are still waiting for Jl Orders from the Spring please talk to your coach tomorrow about them. Some of the orders have arrived. I would first like to say congratulations to all the athletes who raced this past weekend. What a wonderful and exciting weekend we just had! Thank you to all the volunteers who helped make this regatta possible. The last day of the Spring Season is this Friday, May 18. Please remember the Banquet is Tuesday, May 22! We look forward to seeing you there. The Summer Season begins on Monday, May 21 for all athletes who are not attending Youth Nationals. During the first few weeks of the Summer Season, we will have some programming changes. Mercer Lake is hosting the IRA Championships June 1-3, and some boats will still be training for Nationals. Race Times for Saturday Have Changed! Race times for Saturday have changed and are now earlier in the day! There were some last minute race cancelations and now the races have been shifted earlier. Hopefully this will not impact your schedule for the day too much, but please let your coach know if you have any issues with the updated times. The spreadsheet from the previous blog has been updated with the new times. Please click HERE for the blog post with the spreadsheet. How many times have you heard that sentiment echoed as you gather with others along the shoreline, waiting for that fleeting glimpse of your child’s boat? MERCER-MERCER we cheer together. And in that moment, an unspoken bond, that you are a part of something special that changed not only your daughter or son’s life, but yours as well. Then at home later that night, your child’s elation at the results and the determination that they have more to give. You marvel at this newfound grit and dedication. You are profoundly grateful for finding this unique sport for your child. If this story is familiar, might you want to consider leaving a lasting legacy to honor your experience at Mercer and pave the way for future rowers? 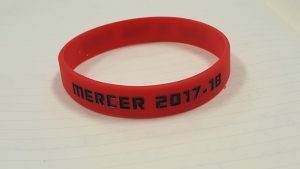 By sponsoring the purchase of new equipment, you can cement your place in Mercer history. In return for your sponsorship, you will be given boat naming honors, an indelible momento. The name is yours to choose. A favorite coach. Your child’s favorite expression. A family name. A poignant memory. A meaningful group accomplishment. Please see the attached list for the range of naming opportunities. We would welcome a conversation about how you might individually, or with others, help us to ensure that this transformative experience is available to children and families for many years to come. Thank you for your commitment to Mercer Rowing. Hello Mercer friends and family! Tomorrow, May 2nd, we will be taking team pictures at the boathouse before practice starts. Please wear your team’s UNIFORM whether that is a uni or white t-shirt and black spandex. If your 8th grader does not have a white Mercer shirt one will be provided for them! This picture session will also include senior pictures, so if your senior knows which college they will be attending please bring a shirt (or hat) with that school’s name or logo on it. If they are still undecided, the Mercer uniform will be the alternative. All clothing orders from Nike, Patagonia, and JL will be in by this Friday. Currently we have everything but the JL outerwear currently in the office. Please see Coach Amanda to pick up your gear! We will also have a table out with all the Lost and Found items displayed. Please have your rower check the table even if they don’t think they are missing anything! We have an impressive collection of sweatshirts and trou that will be donated later this week if not claimed on Wednesday. Let’s all enjoy this beautiful weather! If you ordered Patagonia it is available for pickup before or after practice in the office, please see Coach Amanda! This is a friendly reminder that Patagonia orders must be handed in TODAY to Coach Amanda so we can get our order in before the weekend. Please attach a check or cash to the order form payable to ‘PNRA’. Novices are NOT required to buy any gear, varsity need a uni and a Nike travel polo. Our JL website will also be closing TONIGHT! For more information on this order please see our earlier blog post HERE. We do not handle any part of the JL order so if you have questions on sizing or delivery please reach out to their customer service or find the ‘Sizing and Measurements’ page. They have great examples of sizes on their website! The Nike order form is available today and will be due next Wednesday, April 4th! This is the order for sweatshirts, sweatpants, polos, hats, sports bras, and beanies. The payment method will be the same as for the Patagonia gear, check or cash brought in with the order form and turned in to Coach Amanda. The sizes are all normal EXCEPT THE WOMEN’S SWEATSHIRTS RUN ONE SIZE SMALL. I’m typically a ‘small’ but I have a ‘medium’ and it fits perfectly for example. All other clothing is standard sizing. We have collected an impressive amount of Lost and Found items and will be donating the clothing next Tuesday, April 3rd. Please have your rower check the boxes in the erg room hallway to see if they can find any missing gear. The coaches go through it to make sure there aren’t any names on tags, so please encourage your rower to write their name (or at least initials) on the tag for a greater chance of the item being returned to the rightful owner. Fingers crossed that we are done with snow storms! We have our Novice Parent and 8th Grade Parent Meetings this Saturday at the Caspersen Rowing Center (1 South Post Road). The Novice meeting starts at 9 AM and the 8th grade meeting starts at 11 AM. If you are unable to make this meeting we are holding a ‘make-up’ meeting Tuesday, March 27th, at 6:15 PM (right after practice ends). If you cannot attend either meeting please reach out to Coach Amanda for the information you have missed at aklaibershort@rowpnra.org. We have a parent volunteer working on getting the bussing service running again. If you have any questions or are interested in the bus, please contact Freda Howard at freda@fredahoward.design ASAP to reserve a spot on the new bus. Pick up now includes Montgomery so please reach out if you are interested! Our Mercer JL store has opened! New Varsity need to purchase a uni and a Nike polo, novice and 8th grade do not need to purchase anything but we suggest buying a pair of trou from JL. The Nike and Patagonia order form will be handed out tomorrow and are both due next Thursday 3/29. At the JL Team Store site, you can use your own credit card to order required team uniform items as well as training gear. Everyone MUST get their order in by midnight (PST) on 3/29/2018. If you miss the store closing date, you will need to order your uniform as an individual, directly from JL. For individual orders, pricing and shipping will be different than a team purchase. We will be going back to the winter hours next week due to the weather forecast. The 8th Grade Development Team will be starting on March 19th. We have some new information regarding the winter schedule and upcoming events for Mercer. Starting tomorrow, Tuesday, February 13, the Girls Varsity Team will have Tuesdays off for the rest of the winter season. The varsity boys will continue to practice at their normally scheduled times. We have a few more Tank Sessions over at Princeton University happening on March 4th and 18th (these sessions are optional for varsity rowers since they were not part of the winter training program.) The address for the boathouse is 70 Faculty Road, Princeton, NJ. March 11th is the Mercer Indoor Row for the Cure! This event will be held at the Peddie School and all proceeds will be donated to the Susan G. Komen Foundation. Novice and Varsity are both expected to row at this event which will begin at 9 AM. Please notify your coach if you are unable to attend! Novice rowers (new and returning from Fall) can sign up for the team and varsity rowers should sign up for tryouts. If you were in the 8th grade program this fall you received a link from the coaches for your priority registration, which closed 2/9. We are currently offering spots to the Fall waitlist, remaining spots will be opened to the public on March 1st. Please visit here on the website to find the correct links. If your child would like to row as a lightweight athlete this spring, they will need to have the Mercer Junior Rowing Lightweight Health Form to their respected coach by March 12 for the spring season. If the athlete doesn’t have the form in they will not be eligible to row as a lightweight for the spring season. We have the Mercer Row for the Cure on March 11th at the Peddie School. Rowers of all levels are encouraged to participate and register on their own HERE. The registration button is in the top right corner, proceeds will go to the Komen Foundation. Spring registration is now OPEN! Novice rowers (new and returning from Fall) can sign up for the team and varsity rowers should sign up for tryouts. If you were in the 8th grade program this fall you received a link from the coaches for your priority registration, which closes tomorrow night 2/9. We will then offer spots to the Fall waitlist, and after any spots will be opened to the public on March 1st. Please visit the Registration/Forms tab on this website to find the correct links. Stay warm and GO MERCER! The rowing community welcomes the new year with the Virtual Team Challenge hosted by Concept 2, and the 2018 contest has begun. This challenge takes every meter erged in January and counts it towards PNRA/Mercer’s team total, comparing us to other teams around the world. Last year we placed 8th and we want to keep improving our standing (almost 400 teams are currently registered)! The challenge is for anyone who ergs or uses the Concept 2 bike, and every meter counts, whether it’s a paddle or a sprint. If you have any questions please ask your respective coaches for assistance. Due to the Winter Storm Warning that will be in effect and the forecast that is calling for increasing snow amounts and wind, the Mercer Masters practice scheduled for the morning of Thursday, January 4, is cancelled. An announcement regarding the status of Mercer Junior practices will be made on Thursday morning based on how the storm develops. If the Mercer Junior practices are cancelled a message will be posted on this blog and sent out via the emergency text messaging service. To sign up for the emergency texting service, text PNRA to 313131. This is a great movie for all rowers – novice through elite! Click the link above for more information and a trailer for the movie. Last call to purchase tickets for the Fall Fundraising Event this Sunday at Topgolf in Edison, NJ. No golf experience necessary, and clubs are provided. Join Mercer athletes, parents and coaches to support the Boathouse Expansion Campaign. Also, a reminder that we will be picking the raffle winner on Sunday for the “Boat of Cheer” (you do not need to be present to win). Parents, please remember to send ticket stubs and money or any unsold tickets with your athlete to drop off at practice by tomorrow, Friday, November 19. Please contact Hilary (hgehman@rowpnra.org or 609-799-7100 x107) if you’d like more tickets. And finally, please check out the silent auction items and place your bid! There are some hotly contested items and you don’t want to miss your chance to win. The auction will close at 12:30 p.m. on Sunday (you do not need to be present to win). This is our last full week of the fall season and winter information has been posted previously in the blog. Winter registration is now OPEN, so please make sure your rower is registered and ready for our indoor season. This Friday, 11/17, will be the all boathouse clean up. Please encourage your rower to wear clothes that can get dirty and bring extra layers. The Lost and Found will be donated at the end of the week so it can start over for a new season. Please check for any clothing and water bottles that you may have misplaced before we take it to Homefront! Any Mercer gear will be held so check with Coach Amanda if you cannot find a piece of Nike, Patagonia, or JL clothing. If you have ordered any Nike or Patagonia gear, all pieces are now available for pickup! Please see Coach Amanda before or after practice for pick up, and make sure you have sent a check for Patagonia gear with your rower. Our expansion fundraiser is a few short days away! Rowers have been given raffle tickets to try and sell for our ‘Boat of Cheer’ worth $1000. Please return any leftover tickets by Friday to your respective coaches. You can still purchase tickets to the event at TopGolf here! Check out the silent auction items here. Due to cold weather, the Frostbite and Braxton Regattas started with delays, but ended with numerous medals and great races from the Junior team! 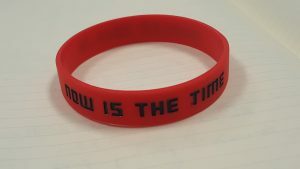 Now is the Time to support the Mercer Rowing Programs by purchasing a “NOW IS THE TIME” wrist band – available at the Caspersen Rowing Center $5 each. As we wrap up the Fall Season, it is time to start looking forward to the Winter, Spring and Summer seasons that are ahead of us. Included below is detailed information about the remainder of this year and plans for 2018. Please read everything below – I know it is lengthy, but this contains all the necessary information to help you plan through to August, 2018! The Fall Boathouse Clean-up Day will be on the last day of fall practice, November 17, during the regular practice time. Wear clothes that can get dirty. The Masters Pre-Winter training will run November 27 to December 19, 2017. Pre-Winter training is open to competitive and development program participants. The Masters Winter Training Program will run from January 2, 2018 to March 3, 2018. The Winter training program is open to competitive and development program participants. Winter training this year will include both erg training and strength training. Over the past four years the juniors have worked with physical therapist and collegiate rower Kaitlin Jackson (see bio below) to supplement the aerobic training we do throughout the winter with endurance strength training. This year the Masters will also be working with Kaitlin. This program has been specifically designed and tailored by Kaitlin for rowers. Every exercise the group does will simulate/reinforce the movement patterns we use to move the boat, and each session will include dynamic warm-ups and post-workout stretching. The erg sessions and strength training sessions will all take place at the boathouse. To participate at Crash B’s and the World Indoor Rowing Championship, an athlete must compete in a previous indoor race during the season. Travel and event entry arrangements associated with the winter erg races is the responsibility of athletes interested in attending. If there are a significant number of athletes attending we will send coaching staff to assist. **The spring season start date is subject to change subject to ice on the lake and other weather conditions. The Fall Season for all programs (Competitive and Development) will run from August 27, 2018 to November 16, 2018. There was an incredible spread of treats after the race and we cannot thank the parents who donated goods and helped serve enough! The Head of the Schuylkill was a successful weekend for our Masters and Novice crews. The Masters came away with a 2nd place finish in the Women’s 60+ Veterans 4+ and a 3rd place finish in the 40-49 Women’s 4+. The other Masters boats performed well taking 5th in both the 50-59 Men’s and Women’s 4+, and 4th in the 27-39 Women’s 4+. It was a perfect, sunny day for racing! The novice had slightly drearier weather; it rained the entire time the rowers were at the course! The team handled the weather well and raced to a 5th and 20th place finish for the girls novice boats out of 43 entries. The boys novice boats placed 19th and 32nd out of a field of 53 boats. We are still looking for volunteers for the Frostbite and Braxton regattas on Mercer Lake November 11-12. We need stake boat holders for every shift, and a few more launch drivers to fill out the empty slots. The link for the Frostbite is HERE and the Braxton link is HERE. Stake boating is a great way for novice rowers to see how the start of a race will look before they compete on Sunday! Lastly, there are two Women’s National Team rowers in need of local family housing ASAP! If you are interested, or know someone who may be, please contact Hilary at hgehman@rowpnra.org. Mercer had an extremely exciting weekend at the Head of the Charles regatta in Boston! Our Varsity girls took home 5th and 13th out of 85 boats, and our Varsity boys placed 19th out of 85 boats, securing all 3 entries for next year. The Masters women’s 4+ came away from the course in 25th place and the Masters men’s 4+ finished 29th in hotly contested races. The weekend was a perfect example of the universal appeal of rowing across the US, with juniors, colleges, masters, and elite athletes coming together to try their hand at an incredibly difficult course. The sunny conditions made for speedy racing, with an astounding 34 new record times for the Charles! This weekend our rowers will stay closer to home with the Head of the Halloween on Saturday and the Head of the Schuylkill in Philadelphia. The Head of the Halloween will take place from 10 AM to 1 PM at Mercer Lake, and will be an Around The Lake (ATL) course in mixed boats. ALL athletes are encouraged to attend in costume (that won’t get in the way of rowing) and bring some snacks and cider to share. The Novice rowers who will be competing at the Schuylkill will not be racing but are encouraged to attend to join in on the fun! Coach Zach and Coach Amanda are beyond excited to be able to bring four Novice boats to the Head of the Schuylkill for the second year in a row. Two boys and two girls boats will try their skill on this 4k course against over 40 other boats in their races! Parents are encouraged to drop off their rower and find the parent tent for a great vantage point along this historic river. Our Masters will be racing Saturday in a women’s 8+, three women’s 4+s, and a men’s 4+. They are looking to build upon their success at the Navy Day regatta held on the Schuylkill earlier this month! A small fee is associated with this race, so look for a registration link coming soon. Come down to the boathouse or the Schuylkill to be apart of a fantastic weekend of racing! One More Month of Fall Rowing! There will be NO PRACTICE this Friday and Sunday for all teams (10/20 and 10/22). Please look for instructions from your coach about alternate workouts for these days! Our coaching staff will largely be in Boston racing/coaching boats at the Head of the Charles, so check out the live stream for the weekend here. This week, please encourage your rower(s) to check the lost and found box in the erg room. We will be donating the clothing to Home Front on Monday (10/23). The coaches are also finding numerous plastic water bottles around the boathouse after practices. We want to encourage rowers to bring reusable nalgenes or water bottles to practice with their names written on them to help prevent waste. This weekend was a successful showing for the Masters Team at the Navy Day regatta! The women’s 8+ won their division and was the fastest Masters 8+ on the water the whole day! The women’s 4+ also won their division and was the second fastest 4+ of the day. Their next race will be at the Head of the Charles this weekend and will feature a women’s and men’s 4+. Good luck! Patagonia orders will be accepted until Wednesday night so please see this blog post for a link to the order form! Our Nike gear should all be in by Friday, with the exception of the Men’s Medium polos (which will be shipping soon). Please remind your rower to pick up his/her gear! TopGolf tickets are still available for our Fall Fundraiser Event. There will be auction items including private rowing lessons and even a Tuscan Villa! This event is November 19th, and proceeds will be going to our boathouse’s expansion. PNRA will be hosting a screening of the documentary ‘Dare to Be’ on December 17th at 10 AM. All PNRA friends and family are encouraged to attend this event at the Princeton Garden Theater; tickets will be on sale soon! For more information on the film check out the website.